This photo is a couple of years old now, but it still makes me smile every time I see it. 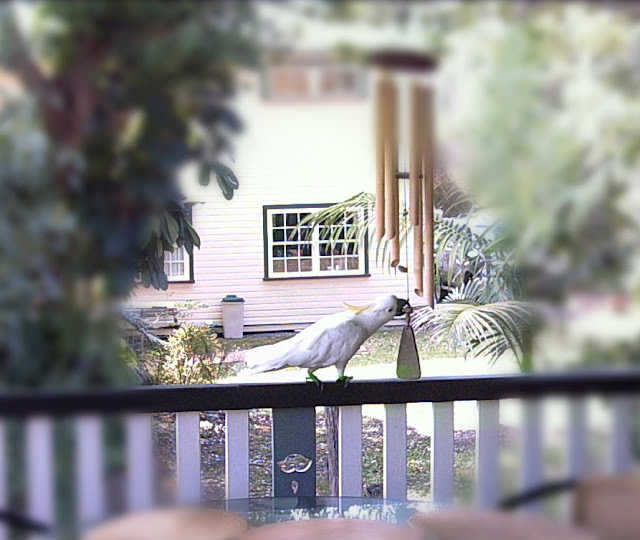 Although the Cockatoos are wild they sometimes act as though they are trained. They truly are funny to watch, they are the larakins of the bush.